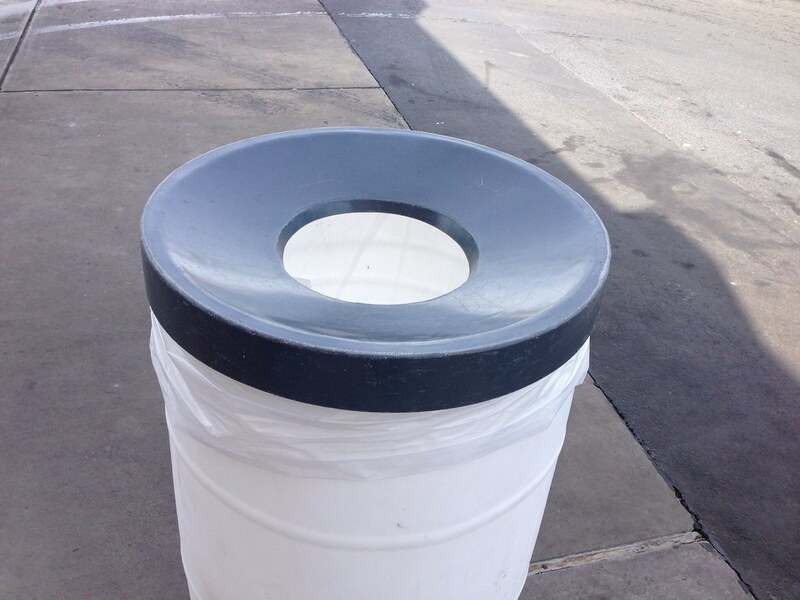 I took Gigi's truck to the car wash today and noticed these trash receptacles. I have a big plastic barrel like this. I'll be looking at some supply places for this handy lid. Any ideas where I can get one? Our larger crowds have pushed our garbage beyond capacity and thus could be a well needed upgrade. 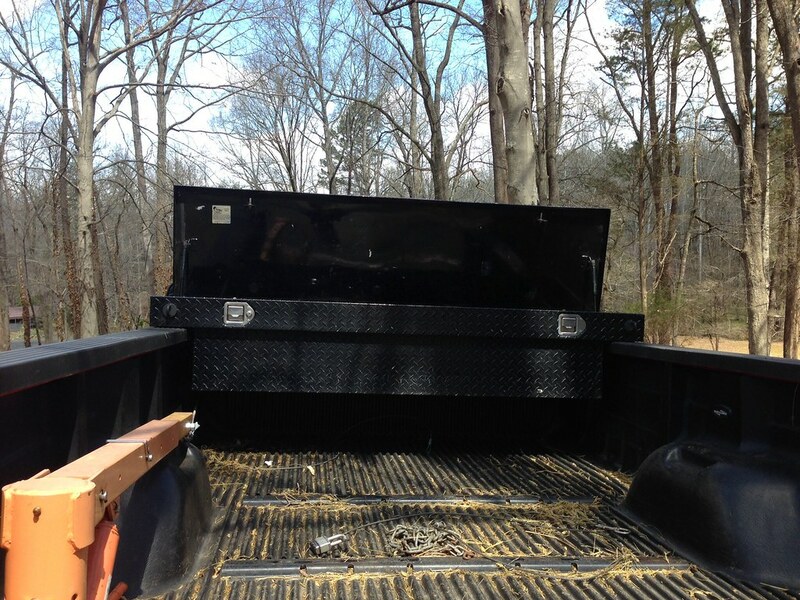 The old tool box is cleaned and bolted back on the truck bed of my truck. This will give me lots of lockable and dry space for tailgate and scuba equipment. Plus it has two additional tie downs, and one can never have enough tie downs. The cab that must be.